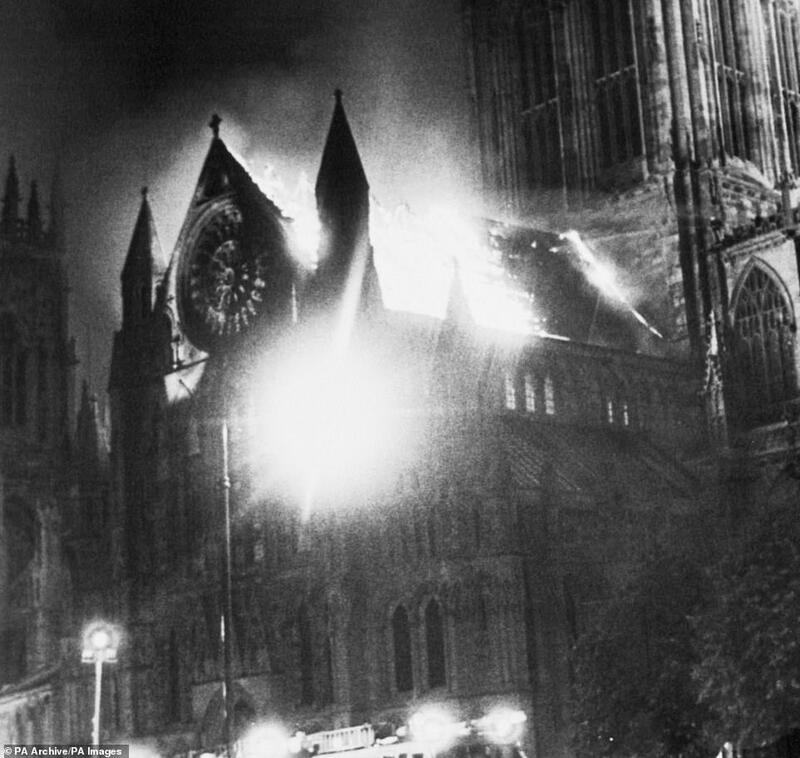 Devastating scenes of the historic Notre Dame being ravaged by a huge blaze last night will bring back memories for those who remember the 1984 York Minster fire. 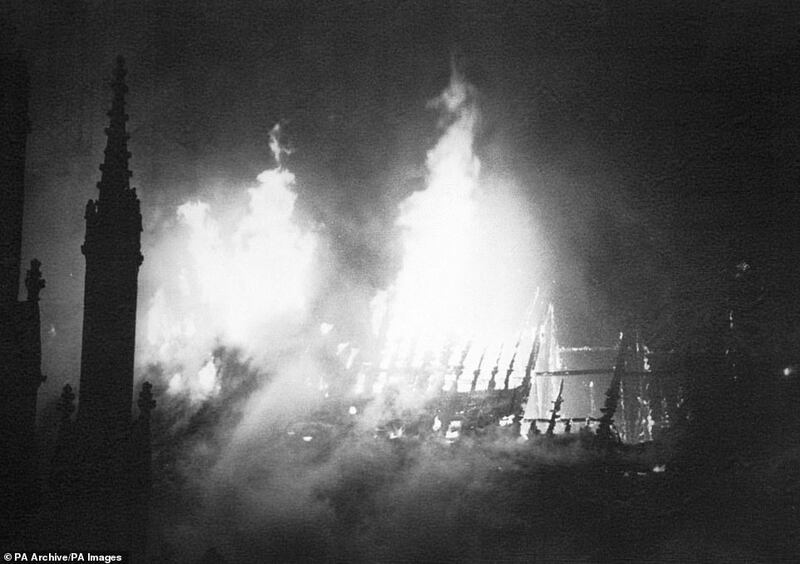 More than 100 firefighters rushed to the Minster when a lightning bolt set alight its south transept - collapsing its roof and causing £2.25m worth of damage in the early hours of 9 July. 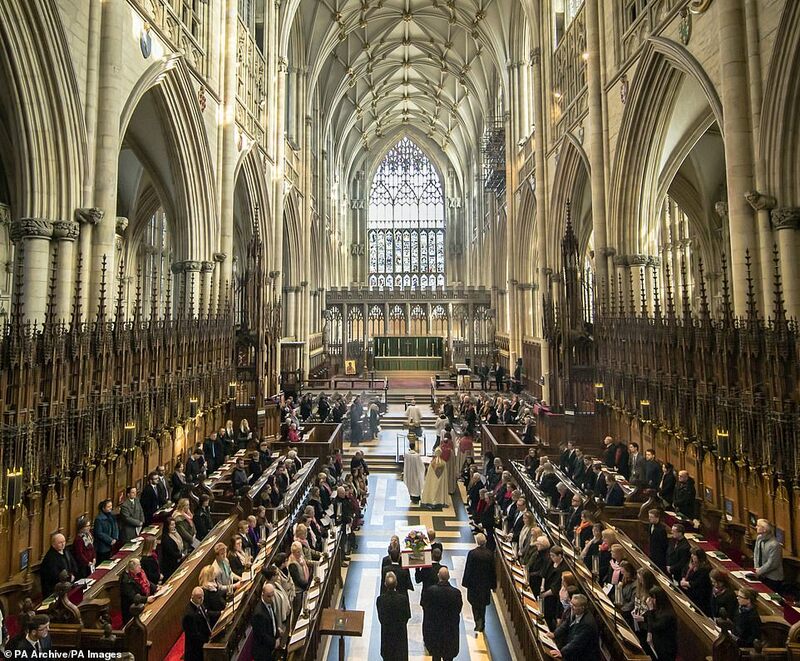 But after a multi-million pound restoration project, the York Minster rose from the ashes and was returned to its former glory - inspiring hope for the 850-year-old cathedral in France. 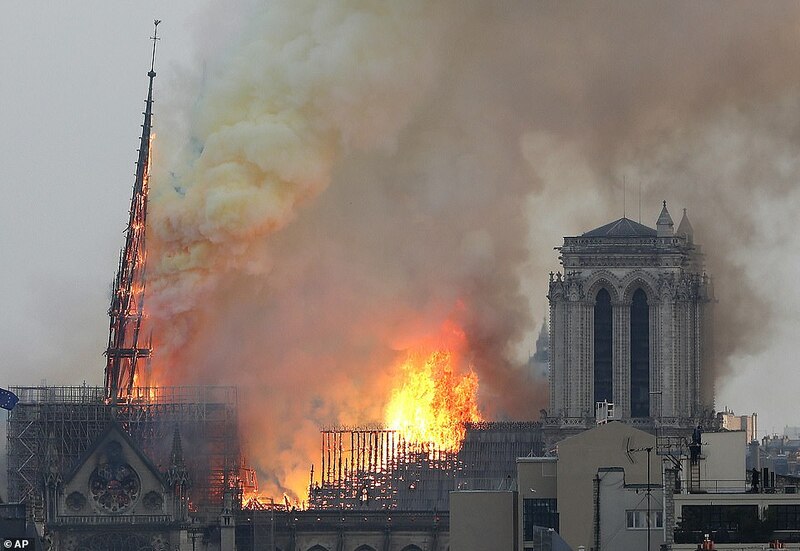 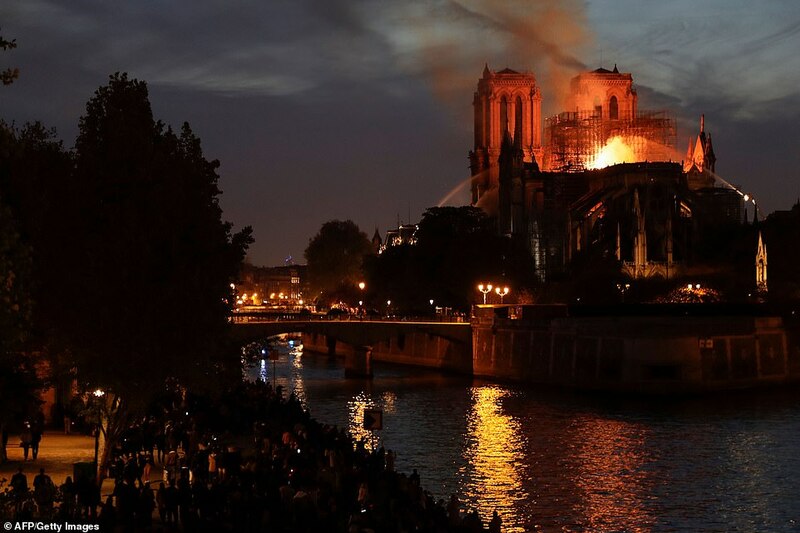 Like Notre Dame, the English church was built from ancient stone and timber, which made tackling the blaze even more difficult for fire crews at the time. 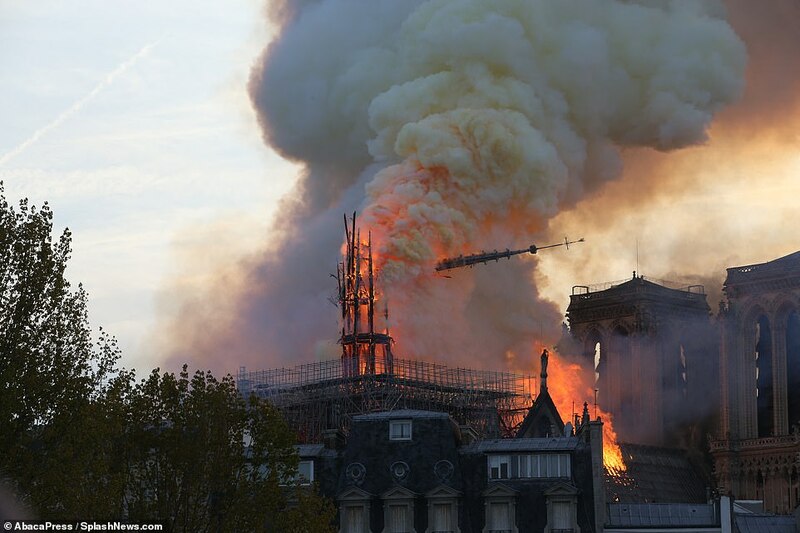 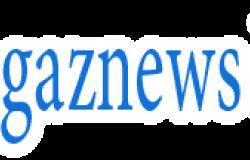 But those who attended the blaze in 1984 said the roof collapsing - as it did in Paris last night - actually helped salvage parts of the building by ventilating smoke and heat and stopping the flames spreading. 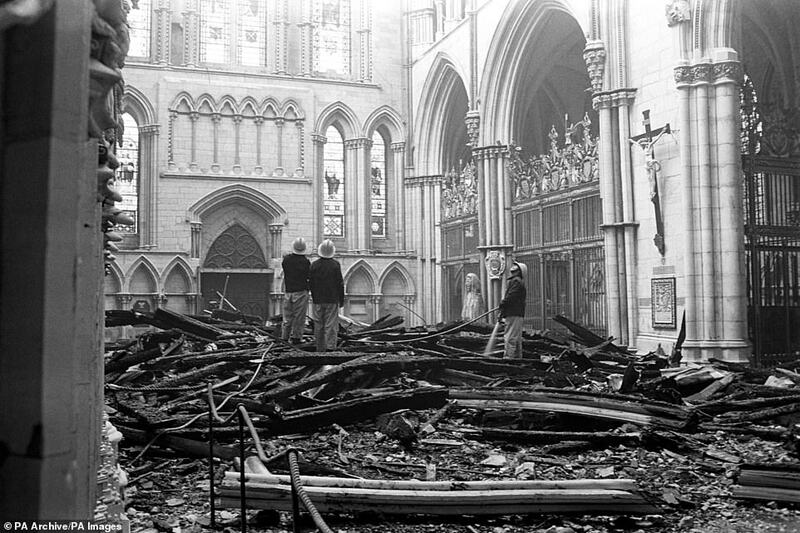 Alan Stow, 79, divisional commander of the fire and rescue service at York during the fire, told The Times: 'There was a suggestion that the only way to stop the fire spreading was for the heat and smoke to be ventilated.